What room in your Home or Business is begging for a make over? Interior Design trends and colors from 10 years ago, today may reflect a dated home. Now that doesn’t make it bad, it just may not be creating the drama and comments from friends and family that it use to. If you would like to share some ideas about Interior Design and how Color, Texture and Effect are the keys to creating … The Wow Effect, we would love to meet with you. You can reach us on Contact link or Request a Quote. Our project calander can fill up very fast, so start early on your project, bringing your Interior Design Team together. 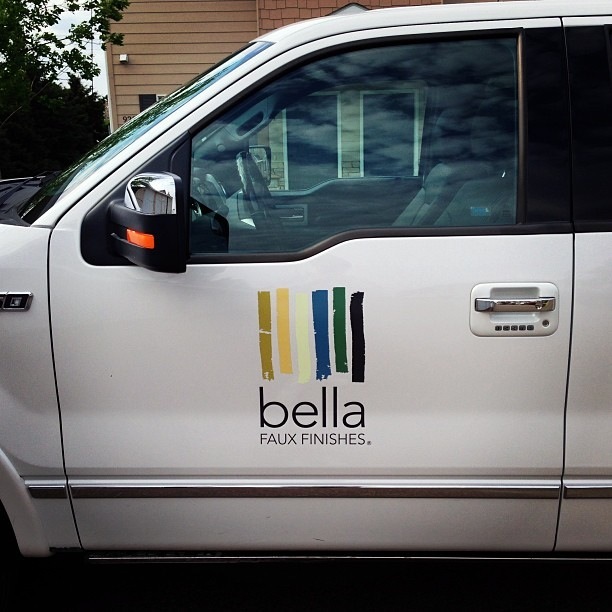 At Bella Faux Finishes, David and I specialize in the application of Italian Venetian Plaster, Italian Finishes, Decorative Finishes and stunning New Faux Finishes. Our Decorative Finishes are heavier in texture than some of the common finishes you may have seen before. We seek the most unique finishes and textures from around the world. Testing and Sampling in the Studio. This is where the Work and Fun begins. Our Design Goal is to make each project unique from everyone else’s. We have many new Colors and Texture to share. We will try to add them to the Gallery as they are created, to make it easier for you to gather Interior Design Ideas for your project. Finally, when you meet us, I think you will be surprised with the variety of Interior Design Ideas we will bring to your project. Since 2005, we have been invited to share our Art on some of the most unique homes in midwest. It is always an honor to meet new clients, whether the project is large or small, and hear about a your project and share ideas and possibilities. David and I, wish everyone the Best! Remember… start with One Room to Wow! From there do your Homework and get your Interior Design Team together. To learn more about the Bella Effect, visit the Testimonials we have received. So, Think Bella…. for your Next Project! Lets have some Fun! 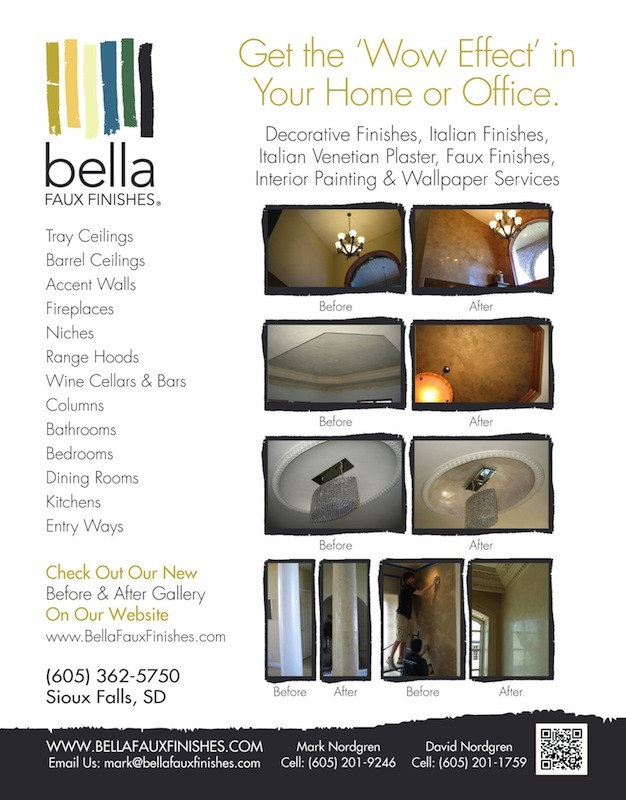 Bella Faux Finishes – Pick One Room to Wow!